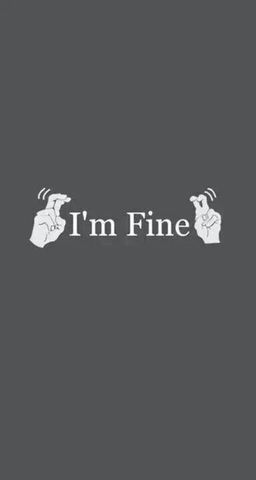 "I'm fine", our most common lie. One of the things people say most often when they see you is ‘how are you’, an innocent enough question to most people, but when you have a chronic illness are they asking exactly how you are, or just being polite? How many people want the full low down of how we’re actually feeling? My stock answer, even with people I know well, is ‘Oh I’m fine thanks’ and I’d be pretty sure a lot of other people with lupus are saying the exact same thing. So why do we give this answer? Often when you first get a diagnosis you do take time to explain, over and over and over. Eventually, we get to a point where we don’t want to keep explaining. We’re sick for the rest of our lives and frankly it’s exhausting to keep telling people how you feel/what illness you have etc etc. Unlike other illnesses we don’t see the doctor, get some medication and are cured, our illness is for life. Some patients never feel ‘fine’ so would have to explain again and again how sick they were. Can you imagine what it’s like to be me? I work in in the lupus field and have lupus, so I explain it to people all day every day, I don’t really want to have to talk about it when I’m not working too. I’d have to think about lupus 24 hours a day and quite honestly that wouldn’t be good for me at all. What if it was just a polite question and they didn’t really want details of how I feel? If I tell them the truth they’re put on the spot and might not know how to respond, possibly feeling uncomfortable or stressed then I’d feel stressed too. When it’s a loved one, we might not want them to worry or be the reason they’re sad. We train ourselves to tell the lie in a believable way and hide symptoms from them so don’t they feel guilty for not knowing. I’ve heard of people that have come up with a code where you give a number between 1 and 10, so that the other person knows how you are actually feeling. Try and agree beforehand how much you want to divulge, if it’s a partner they will likely see you in pain often and want to help, if you don’t want to keep explaining then the code system would work well. We don’t want to admit how we’re feeling incase we get an offer of yet another miracle cure. The problem is that with the advent of ‘Dr Google’ people have become ‘experts’ in medical conditions and have read some nonsense about something that will cure you. As if you wouldn’t know about it, don’t they think we have a finger on the pulse of any new developments in treating our illness? Some people feel weak having to admit they’re sick yet again and not coping well. We also don’t want to be known as the negative person that complains all the time. I know I fall into this category, I'm fed up with lupus, so I’d be pretty sure my friends would get sick of hearing about it too and frankly complaining about it doesn’t make me feel any better, if anything I feel worse, so my answer is to keep it to myself. Sometimes it’s a knee jerk reaction, we don’t even think about saying 'I'm fine' as we’ve said it for so long, or we’re putting on a brave face as we’ve also got used to doing that. Most people without an illness will answer ‘I’m ok, or I’m fine thanks’ when asked the same question, so it’s not an unusual answer and one people will usually accept. Sometimes we actually are ‘fine’ by our own definition of what that is. Our ‘normal, isn’t your normal’. When you have a chronic illness you develop new definitions, what is ‘normal’ to a lupus patient may be a 5 or 6 on a pain scale of someone without an illness. We get used to various aches and pains being there continually. I’ve always said that if I woke up and nothing hurt I’d think I was dead. Often it’s as simple a fact as we’re too flipping tired to give any other answer, so 'I'm fine' will hopefully stop further questions. If you’re reading this and you know someone with a chronic illness remember this blog. 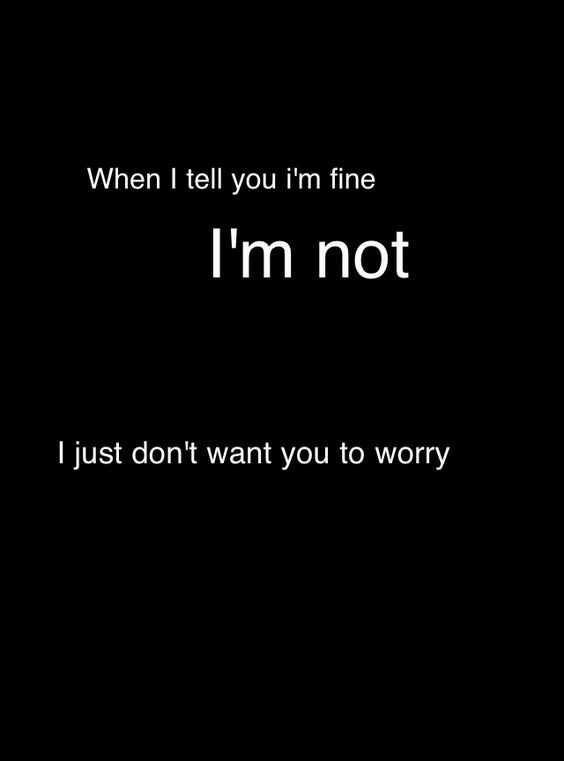 When they say they’re fine. If you really don’t want to know, don’t ask incase that’s the day we feel the need to tell you the truth and how often can we tell you before you don’t care any more? What can you do if you know someone with lupus who’s clearly not ‘fine’? Maybe you could offer a hug (careful though, when lupus hits me hard I can’t even stand a sheet on me, let alone anyone touching me!) or offer some help of some kind, maybe you could just hang out with them. I tend to want to do something practical for someone else if they're not feeling well. You could ask a direct question like 'can you get some shopping for them as you were going to the supermarket anyway'? That way we won’t feel we’re being a nuisance/burden or imposing. Make the offer but don’t press on as sometimes 'I’m fine' means I want to be left alone (as in my case). Newer PostCelebrities speak and the World listens.